RMK Marine delivered the largest warship ever manufactured by a Turkish private sector shipyard. RMK Marine realizes construction projects for tankers, off-shore vessels, tugboats, military ships and superyachts in Tuzla. RMK Marine is the only Turkish private sector shipyard to hold AQAP 2110 NATO Quality Management System certification, confirming that it meets "NATO Quality Assurance Requirements for Design, Development and Production." The four Coast Guard Search and Rescue vessels, which are Turkey's largest warship ever built by a private sector shipyard, were completed and delivered in 2014 and 2015. These vessels successfully perform the challenging duties ascribed to them in the open seas. 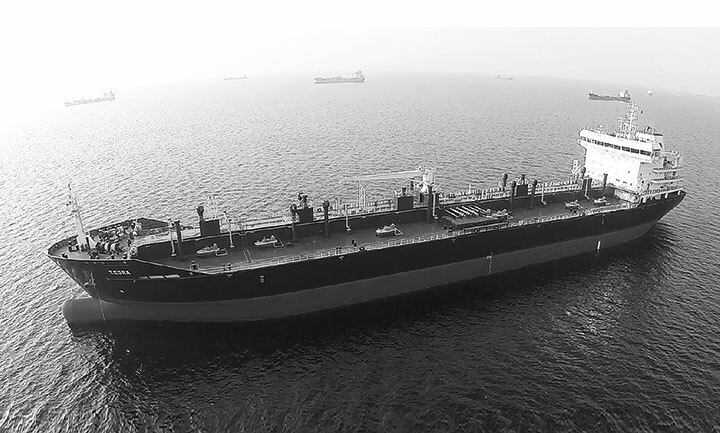 Designed and constructed by RMK Marine, and delivered on 17 September 2014 and 20 October 2015, the asphalt carriers T.ESRA and T.AYLİN are the largest and most innovative carrier vessels of their kind. This project attracted such attention in the European market that sales agreements with two European customers were signed for two more asphalt carriers and one chemical carrier in 2015. The design stages of the vessels were completed in 2015 and construction began in 2016. Deliveries are scheduled for 2017. Constructed by RMK Marine, Nazenin V, Karia and Sarafin all garnered Special Jury Awards at the "Oscars" of the superyacht sector, the World Superyacht Awards. The marketing of special design over 50-meter yachts are among the Company's top business targets for 2016. RMK Marine's strategic business plan include the "İ" Class Frigate and the Turkish Fast Attack Boat projects, where tenders will be launched soon by Turkish Marine Forces. RMK Marine has produced original designs for the Turkish Fast Attack Boat project. The Company also carries out work on the following projects: Environmentally-friendly chemical carriers and asphalt carriers with low operating costs, LPG/LNG supply ships that will support the use of environmentally friendly and cost effective fuel, Superyachts with original design and advanced technologies.